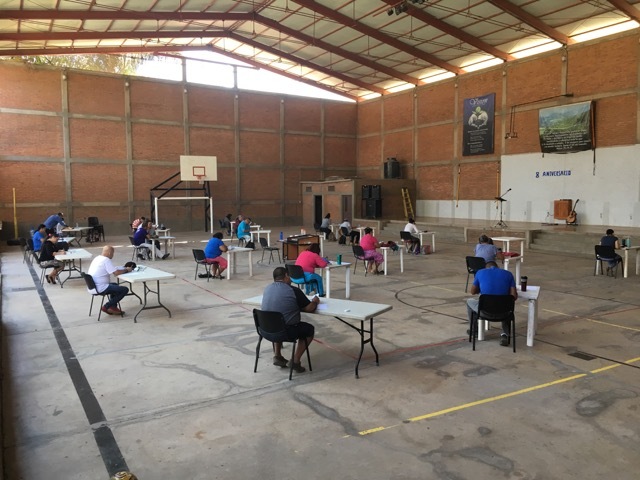 We had the opportunity to teach the six-week Grace Course that accompanies the Discipleship Course of Freedom in Christ Ministries that we've been teaching for the past few years. This was our first time teaching it and it went really well with 25 - 30 attendees each week. Sandwiched between lessons five and six is a one-day retreat where we help guide people to experience God's grace through renouncing lies and declaring truth. This course deals with four obstacles that prevent us from truly experiencing God's grace: Guilt, Embarrassment, Fear, and Pride. I, personally, have experienced all four at one time or another and this course has shown me a number of areas that I still need to work on. Many others were impacted in the same way and we deal with those issues by "Demolishing Strongholds"; renewing our mind to think and believe the truth instead of the lies. Issues that people have been dealing with are fear of man, fear of death, anxiety, and embarrassment. Some felt a definite change in their outlook on life. Thank you to all who prayed for us during this time. The Lord continues to bless this ministry with a solid foundation of our Identity in Christ and experiencing true freedom in Him.